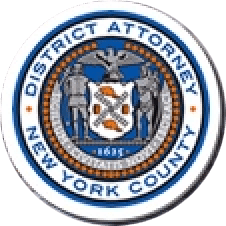 Manhattan District Attorney Cyrus R. Vance, Jr., today authored an op-ed on CNN.com detailing how the federal Concealed Carry Reciprocity Act (CCRA) would endanger public safety in New York and major cities across the United States. District Attorney Vance is the co-founder and co-chair of Prosecutors Against Gun Violence. New York City’s turnaround on violent crime has improved the lives of all New Yorkers. Our safe streets have enabled an economic resurgence which has proven especially beneficial to real estate developers like President Donald J. Trump. But this progress could come to a screeching halt if the Concealed Carry Reciprocity Act (CCRA) passes Congress. The CCRA would override our state’s restrictive concealed-weapons permitting system and force New York to honor concealed-carry firearms privileges issued in other states — even though many other states have much looser standards. A person on a watch list could purchase multiple handguns at a gun show, take those guns into Manhattan and carry them, fully loaded, into Times Square. It wouldn’t be a crime until they started shooting. The gun lobby is making it politically dangerous to oppose CCRA. We have to make clear that what’s in this bill is even scarier. The public safety we take for granted in cities like New York depends on defeating this bill.